A website is one of the most essential components for a business owner. If it is for any start up then the importance is immense. It is an important asset because every business expects a lot from its website. So, when it comes to fulfilling that expectation, many websites fail to do so. This is a very much painful experience for business owners. But have you ever wondered why your website doesn’t perform up to your expectation? Maybe the reason is that you didn’t get a super-fast website design and development service for your website. 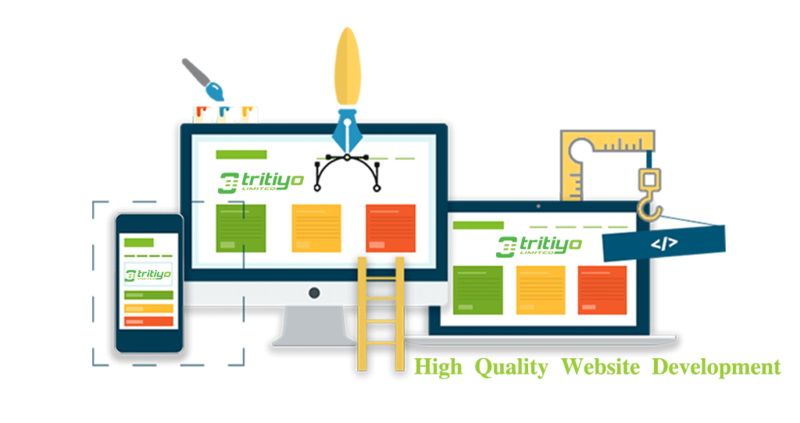 Tritiyo Limited is an IT firm that has been providing website design and development service for your startup for about the last 10 years and we have a very expert team in this sector. We even provide consultancy when we make your website. Whenever a client reaches us for their website, we try to give them advice that can make their website better and give them optimum service. We always try to provide our consultancy that helps our standard as the best website design and development service provider in Bangladesh. As a website design service provider, we not only give you the service that you want but at the same time, we try to provide the ultimate bundle of service that reaches your expectation from the best website design service provider. We always try to maintain our performance as the best software development firm in Bangladesh. We are providing cutting edge Website design and development service for your startup. Our number one priority is our customers. That is why we always try to make them pleased with our service. What we surely try to provide is goodwill. Because we believe that our goodwill will ensure our customer’s satisfaction. In our service what we keep in mind is that we want to convert what our customers want to real work. So, for that, we maintain a strong communication with the customers and make things go well on both ends. We also provide after-sales service. We believe that as the best website design service provider in Bangladesh, it is our job to provide our customers with good enough after sales support. These are the ways how we make things possible. Finally, all our effort is targeted towards the overall success of customer satisfaction. We want our clients to get the best website design service and we thrive to provide that. Our standard of website design service can make your company reach a new height.